Tasted non blind. Opened and served from 12 oz format. 6.0% ABV. 18 IBU. Black color in the glass, opaque looking with a short, slightly retentive head. Nose of coffee, mocha and roasted malt. Flavors of coffee, bitter dark cooking chocolate and a creamy malt finish. Good weight on the palate, medium finish. Good to very good. Let’s call this one three to three and half stars out of five. Tasted non blind on October 26, 2012. Served from 16oz/Pint sized can. 6.0% ABV. 36 IBUs. 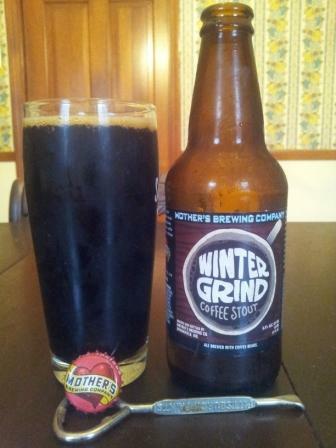 This milk stout is a cold pressed coffee infused stout. 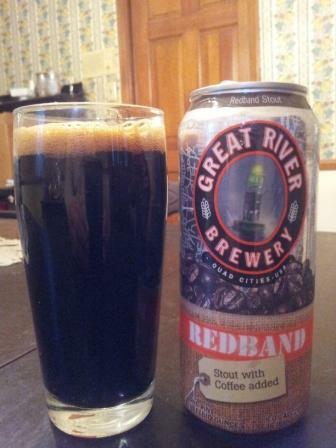 Dark brown, almost black color in the glass, opaque looking with a decent, fairly retentive head. Nose of coffee, chocolate and malt balls. Flavors of light coffee notes, a bit of bitter dark chocolate and touch of chocolate covered cherries on the slightly clipped finish. Fairly clean with a decent weight up front on the palate but it disapates fairly rapidly. I like the over nose and flavor profile of this stout but it gets docked just a hair for the finish. Good. Let’s call this one three out of five stars. So my wife and I are out and about on a Saturday morning running errands. We visit the local Farmers Market which we like to do at least once or twice a month to load up on locally grown fresh vegetables and fruits. Being a small business owner myself I love to patronize fellow small business owners whether they be local farmers, restaurant owners or the quickly vanishing local retailer. One of our favorite local coffee purveyors is Avoca Coffee. They will regularly attend the Cowtown Farmers Market where we’ll pick up a pound or two of freshly roasted coffee beans. Unfortunately on this particular Saturday they were nowhere to be found so we decided to make the fairly short drive downtown into the medical arts district and purchase some much needed coffee directly from their storefront. Imagine my surprise when I pulled into their lot and found The Bacon Wagon pictured above. Bacon and Coffee together. Perfection. 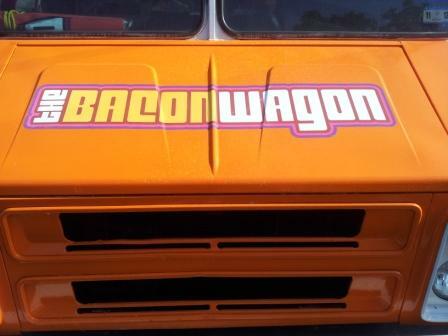 So naturally I had to snap off a shot and make a blog post about The Bacon Wagon. Just about every friend I have could live on bacon and coffee three times a day. Does it get any better than bacon and coffee? So next time you’re in the Fort Worth medical arts district drive around the 6th avenue area in search of The Bacon Wagon. Don’t forget to stop into Avoca for a fresh cup of coffee as well. They’re a small, locally owned business operator as well and could use your support. Now I’m off for another cup of Guatemalan I bought this weekend from Avoca. I wonder if I should fry up some bacon as well? Of course I should. Duh!